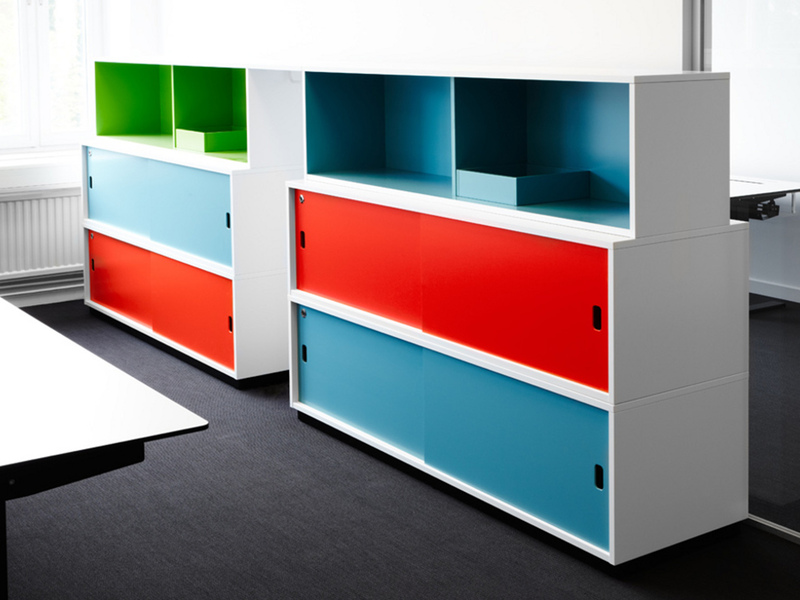 Modular storage, customer adaptations in terms of colour, form and function. Sweco’s head office is located on Rålambsvägen in Stockholm. 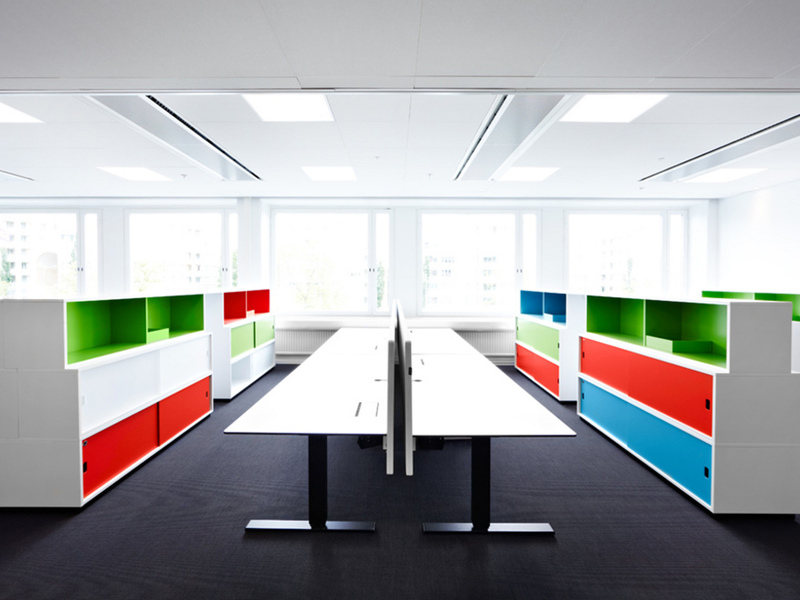 Specially adapted modular storage was produced for the project: lockable sliding doors with painted doors and plexiglass to fit A3 folders. 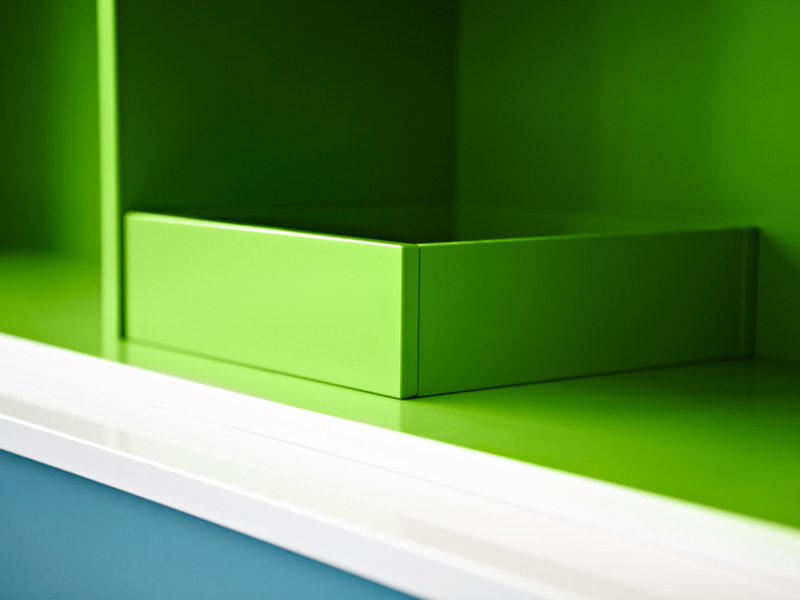 The frames were white painted, with the inside and the backs of the units in turquoise, orange and green. 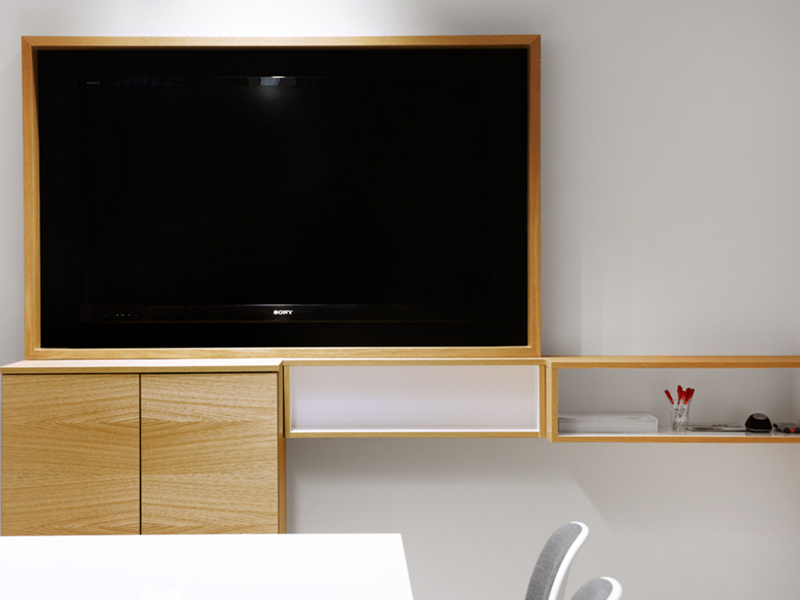 The storage units sit on a plinth adapted for flexible furnishing for one or more people. Customised pen trays and clothes storage. The desk with an electric stand in black lacquer has a white laminate worktop and black edge strip. The worktop has a recessed cover flap and groove for easy access to electricity. Cable tray with Velcro so that the cabling remains in place. The worktop also has a white table screen which can be unhooked. 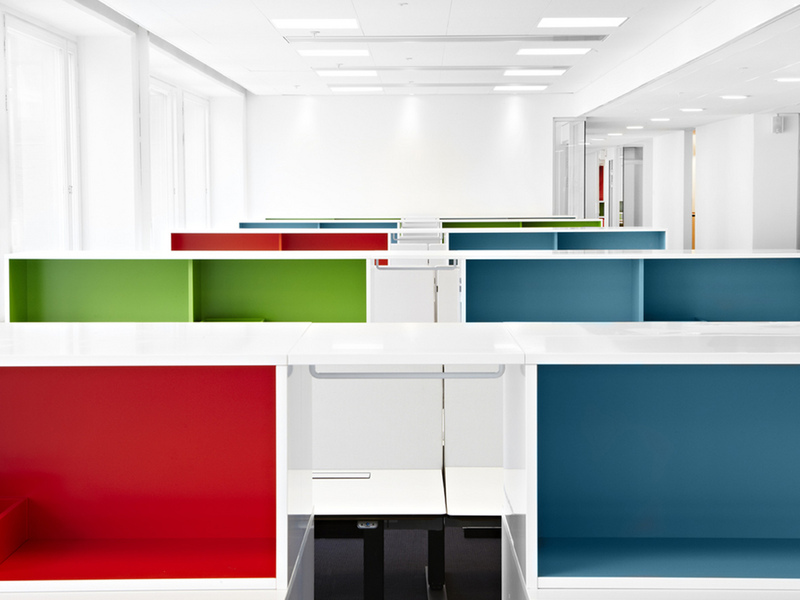 In total, equipment for 900 workplaces was supplied.